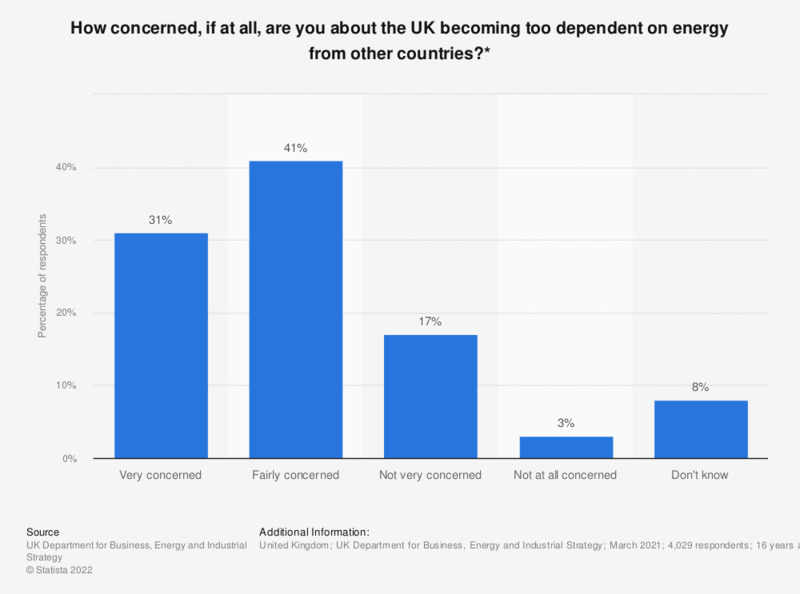 This statistic shows how concerned respondents to the Department for Business, Energy & Industrial Strategy (BEIS) Energy and Climate Change Public Attitude Tracking Survey in the United Kingdom (UK) are about the UK becoming too dependent on energy from foreign countries in 2018. Overall, the responses suggest there is a relatively high level of concern about this issue, with 72 percent of respondents indicating it is a matter they are concerned about. 26 percent are not concerned about the issue, while two percent do not know if they are concerned or not. Everything On "Energy awareness in the United Kingdom (UK)" in One Document: Edited and Divided into Handy Chapters. Including Detailed References. Which of the following approaches to solving the nation's energy problems do you think the U.S. should follow right now?